The new model Windcraft WAS-200 offers the advancing player a rich, full sound with a very even scale from top to bottom. Designed to be full on quality with no unnecessary (and costly) bells and whistles. The WAS-200 range offers the upgrading Saxophonist a solid, rich and vibrant sound that is comfortable in any musical genre. These Saxophones are aimed at players moving up from their student Sax and wanting something better. The WAS-200 feels great under the fingers and we've worked hard to develop the internal design to give a real boost to the tone whilst retaining impeccable intonation. This model would be a great alternative to the more expensive Yamaha and Yanagisawa upgrade options and it comes with a smart case with backpack straps. 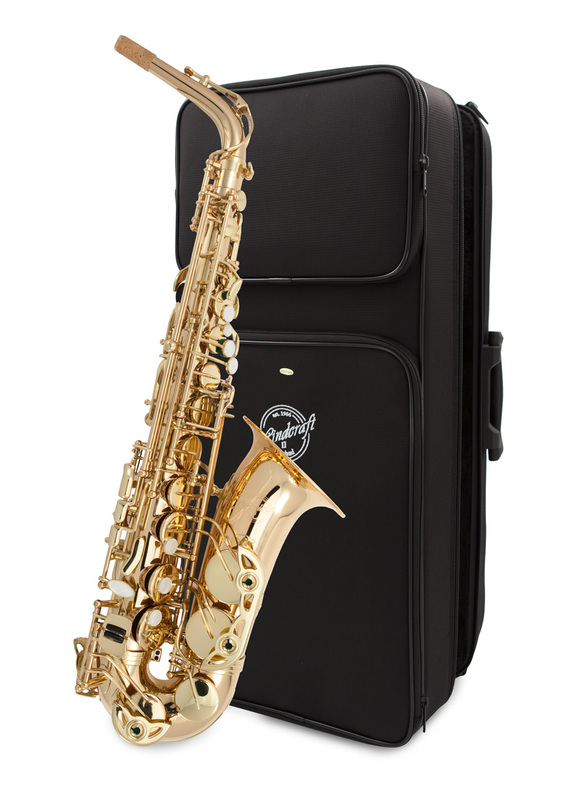 Available in a variety of finishes, the WAS-200 is, in our opinion, THE best value upgrade Saxophone on the market today.